Nigeria’s New Minimum Wage; Is That All? – Royal Times of Nigeria. On Tuesday the 6th of November, President Buhari approved the new minimum wage of ₦30,000. 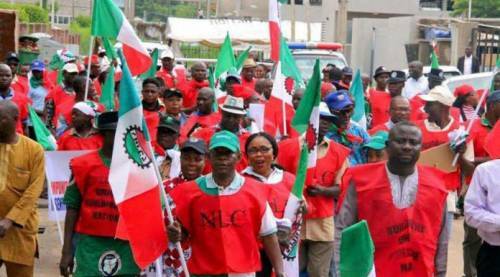 This is following the Nigerian Labour Congress’ recent agreement to suspend its strike action on the condition that the federal government increased the minimum wage, which some negotiated to be around ₦24000. This would appear to be a win for the workers of Nigeria, who have been agitating for a fair wage for years now. The truth is that this is less of a win and more of a consolation prize. As several politicians have argued, the new ₦30,000 minimum wage is far more than what the government can afford. In addition to that, the new minimum wage is still not living wage for the average Nigerian family, according to Anambra Central Senator Chief Victor Umeh. As we all know, poverty is closely related to financial crime, violent crime, and long-term health, education and infrastructural challenges. We must make sure that the average Nigerian worker is paid far more than the new minimum wage. However, not all Nigerian politicians agree that the increase in minimum wage is the way forward. The Governor of Ebonyi State, David Umahi, stated that the change in minimum wage will do more harm than good to the economy, urging civil servants to look at the bigger picture. Governor Umahi insists that the increase in minimum wage will cause inflation and sweep out any possible gains it may achieve. However, even he acknowledges that the mere increase in Nigeria’s minimum wage will not solve the challenge of providing for the average Nigerian household. There are more institutional constraints to the prospects of the average Nigerian family. The Nigerian government must do something to about the lack of transparency surrounding the allocation of government spending. In addition to that, the Federal Ministry of Labour and Employment must look towards implementing benefits as needed for the average Nigerian worker. As Chief Umeh aptly stated, ‘a disgruntled worker cannot produce anything’. If we hope to see Nigeria prosper and flourish, then we must treat and value our workers accordingly.